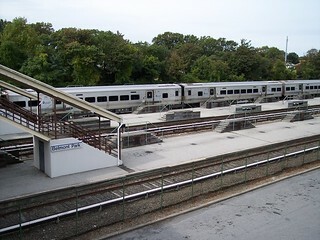 Belmont Park is only served by a few trains at certain times of the year. We ended one of our trips here. 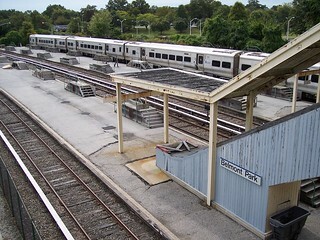 The station is on a spur and has multiple long platforms, but is definitely showing its age. 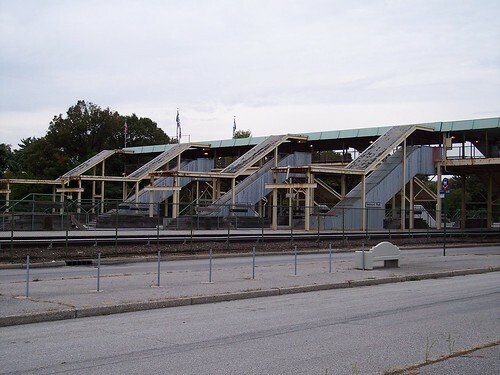 The low level platforms remain, but have been supplemented with wooden stairs for each door. 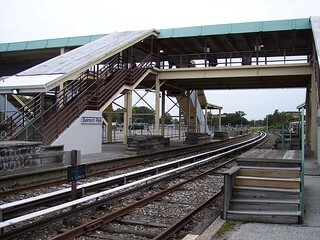 Our train remains at the platform. 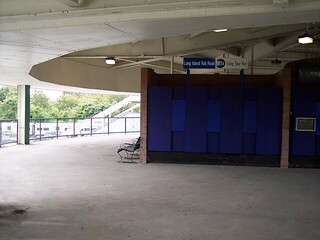 The old ticket windows on the overpass are no longer used.